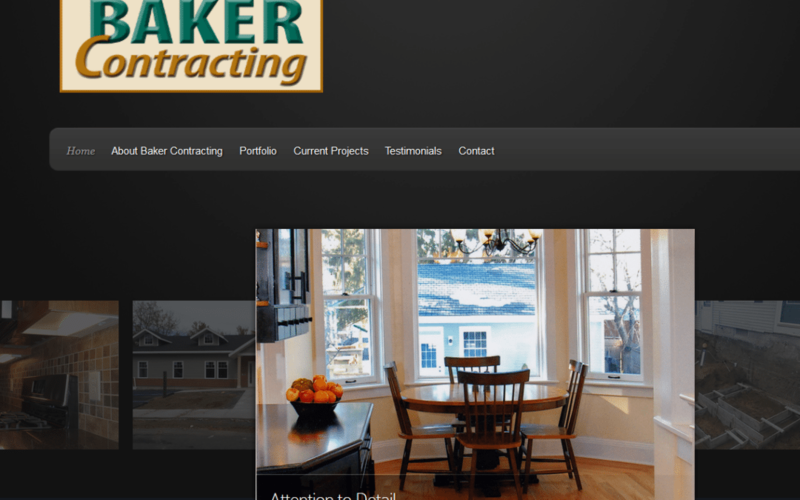 We recently developed a brand-new website for Baker Contracting in Schenectady. Baker Contracting develops outstanding residential and commercial projects, with a fine attention to detail. The website seeks to capture, with simplicity and elegance, some of the magic of the projects themselves. It is laden with images of many of the company’s projects. Visitors to the site can get a decent sense of what a construction, renovation or other project will look like from start to finish. We deployed a premium theme from Elegant Themes that provides a homepage slider that scrolls through pictures and links of many of the projects. The homepage also emphasizes pages of content that are particularly relevant to the visitor. Having so many photographs can be a challenge when it comes to how fast a website might load. We had to be careful to make sure that we did not upload large pictures. Rather, images were re-sized to a smaller size before uploading. Furthermore, we renamed pictures so that the file names describe what the pictures are about. Search engines still have a difficult time “looking” at a photograph and understanding what it is, so we have to give the search engine clues. Photographs need a descriptive file name, title, alternate text, and description. Because the site is a WordPress website, it is ready to grow along with Baker Contracting’s business. We also optimized the website for search. We also have been providing some training to company representatives so that they can take care of the site on their own if they so choose. If you are looking for a contracting company to work on your residential or commercial project in the greater capital region, you just may want to check out Baker Contracting!